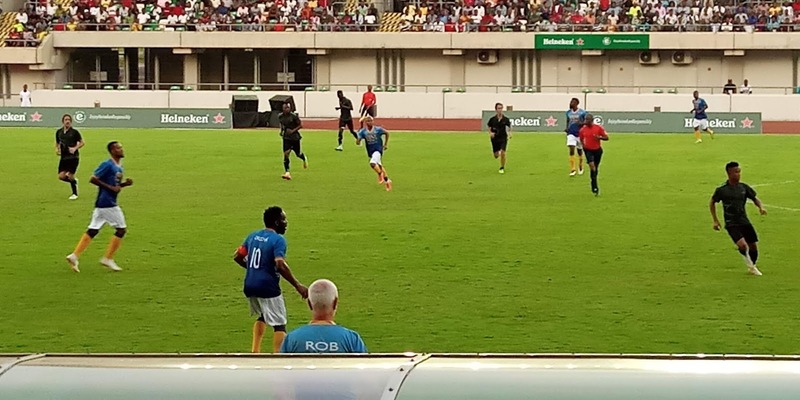 Former Super Eagles captain, Austin Jay Jay Okocha left fans begging for more as he thrilled them with tricks and flicks in Tuesday’s unmissable match in Uyo as the UEFA Champions League tour continued. Okocha was clearly the Man of the Match as he scored one and assisted one even though his side, Team Shine Shine Bobo lost to Team Heineken in a thrilling novelty encounter that also featured former Barcelona captain, Carles Puyol. 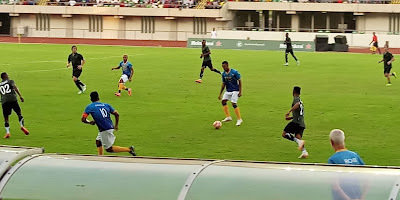 The encounter ended 5-2 in favour of the Carles Puyol led side that had its two front men as Mfon Udoh, the League’s top scorer and Ndifreke Effiong who peppered Team Shine Shine Bobo central defence manned by former Super Eagles captains, Okechukwu Uche and Austin Eguavoen who could not deal with their pace. Sighting a long night, they (Team Shine Shine Bobo) quickly adjusted their formation as they took off the right full back, Charles Udoh, the state Commissioner for information and brought in Juwon Oshaniwa. Oshaniwa moved to left back and Otobong Effiong (Akwa United’s captain) took his normal role as Right back. The Gentle Giant, Uche then moved into midfield and Wilson Elu was pushed down to partner Eguavoen in center back. All this was after Ndifreke had scored the first goal of the encounter, slotting past Emmanuel Iwu in goal for Team Shine Shine Bobo. But the fans did not want that. All they desired was the ball at Okocha’s feet because he twisted, he turned, he stepped over the ball, he dummied and nutmegged the younger players, but in spite of all the trickery and comic, his passes both long and short were inch perfect. He was hardly ever found wanting. Amokachi was looking tired already and it seemed his knees wouldn’t let him continue, but in a last burst of pace, he was brought down (or he fell) at the edge of the penalty area. He was looking for a penalty but got a free kick which Okocha positioned to take. As the referee tried to make certain that the wall was in place, Okocha took the kick quickly and got a yellow card for his efforts as the referee called for a retake. This time, he positioned well, watched the wall, the keeper and probably his teammates, Mutui Adepoju and Amokachi whose hopes of getting a goal would depend on Okocha’s ability to score. 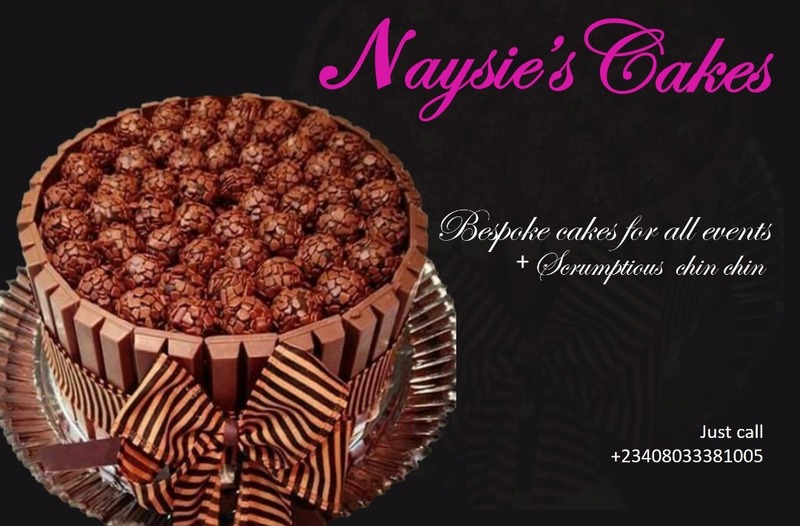 The former Eagles’ maestro took three steps forward and boom! The ball went past the wall, hit the upright and all the goalkeeper, Olorunleke Ojo could do was pick the ball from inside the net. 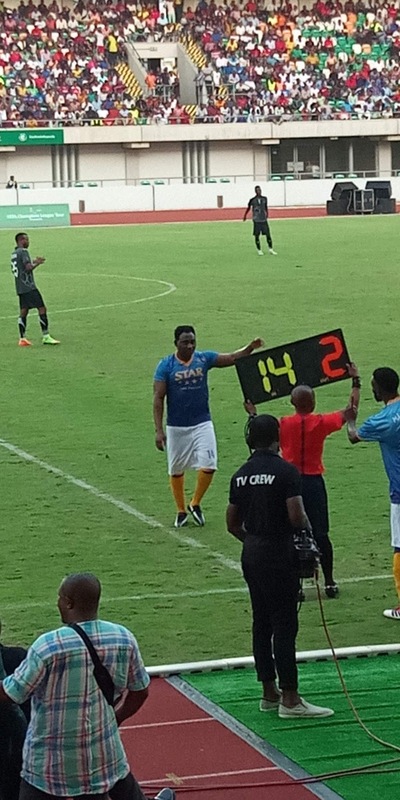 Okocha celebrated by doing the Zanku dance as the referee called for the Half Time break. 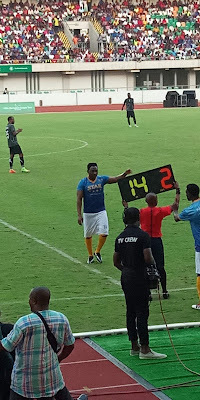 At the start of the second period, a few changes were made as tired legs, Daniel Amokachi, Austin Eguavoen and Okey Uche left for younger players, while Austin Okocha played on. There is no way he would have left the pitch with the fans yearning for more. 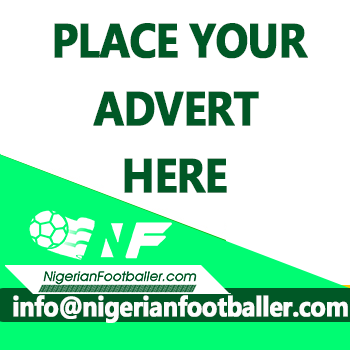 A thirty-yard defence-splitting pass from Okocha found Aniefiok Godspower who had the easiest of jobs, control well, run into the box and slot behind Ojo, which he did to make the scores 2-1. 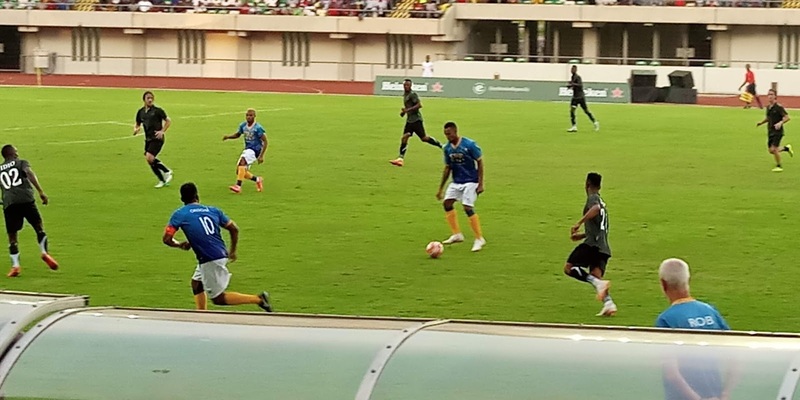 Mfon Udoh drew level with a predator’s effort from the edge of the penalty area. Ndifreke scored again to make it 3-2, then Mfon Udoh got his brace before Bestman Obodo completed the rout. It was a great day in Uyo for the fans as the Unmissable match lived up to its billing.